Here I will share stories behind my music, will be posting pictures, upcoming concerts, or brief articles about my music. Follow my blog to stay updated about any tour dates and new releases. 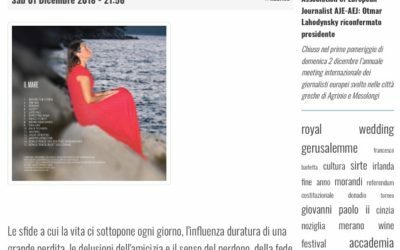 Thank you for featuring my new CD at Live Your Live in Italy! 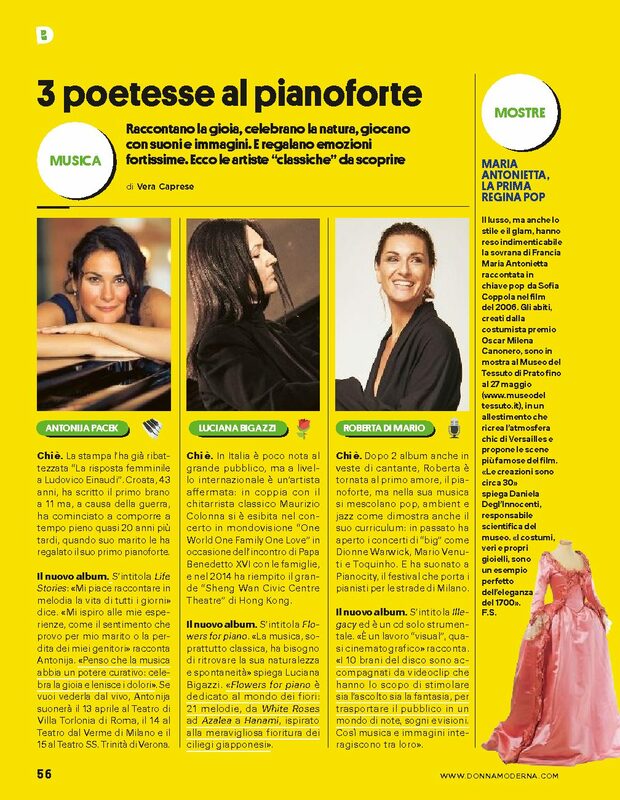 Thanks to Comunicalo for the article about the upcoming album “IL MARE”. “Taste of Bitter” is a bitter and self-reflective song, which describes the turbulence and demons of Antonija’s facing the fact that both of her parents passed away within half a year, in such a short period of time. The song is heavy and sad, but inside there is a trace of hope. 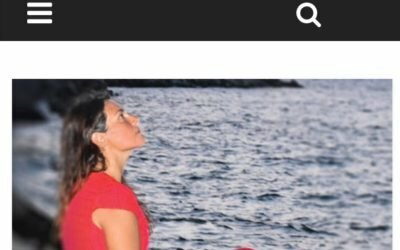 “Brand New Dawn” paints a hope for a better future for us human beings, as well as a dream that Antonija’s music will possibly touch more and more souls, to communicate to them hopefulness and gratitude for each life via music. “Viva Life” is a song with a happy vibe, celebrating life and family being together. “Expecting Nina” depicts a happy state of mind, when Antonija was pregnant with her first child and expecting her arrival. “Magic Forest” is a song about discovering mysterious things in a forest, discovering new places and new people, understanding them better. The atmosphere here is exploratory and mystifying. 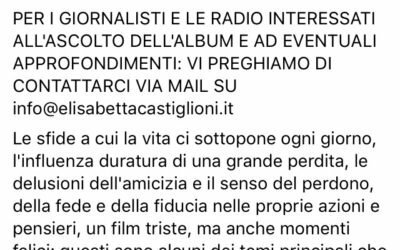 Thank you Fattitaliani.it for presenting my new album IL MARE. The press release is out. 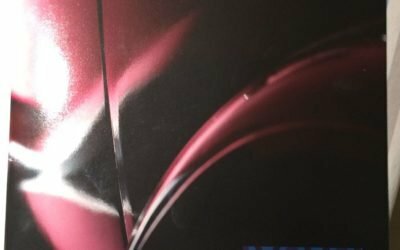 And there are the track stories inside of the article! 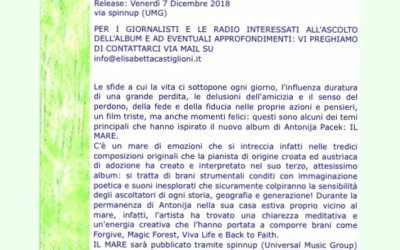 It reads IL MARE the brand new album of Antonija Pacek. A press release text is published there. B in Rome magazine reports: The challenges to which life subjects us every day, the lasting influence of a great loss, the disappointments of friendship and the sense of forgiveness, faith and trust in one’s actions and thoughts, a sad film, but also happy moments: these are some of the main themes that inspired the new album by Antonija Pacek: “IL MARE”. 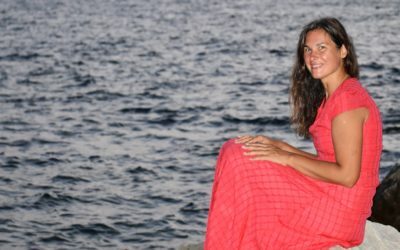 There is a sea of emotions that is intertwined in the thirteen original compositions that the pianist of Croatian and Austrian origin has created and interpreted in her third, highly anticipated album: it is instrumental pieces seasoned with poetic imagination and unexplored sounds that will surely hit the sensibilities of the listeners of every story, geography and generation! 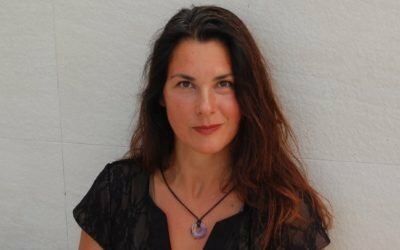 During Antonija’s stay in her summer house right next to the sea, the artist found there a meditative clarity and a creative energy that led her to compose songs such as Forgive, Magic Forest, Viva Life and Back to Faith. 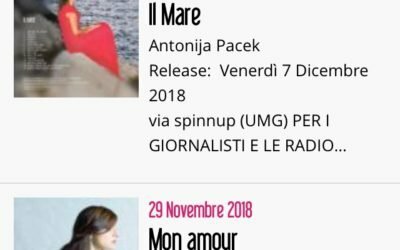 “IL MARE” will be published via spinnup (Universal Music Group) and available on the major digital streaming and download platforms (such as iTunes, Amazon, Spotify, Deezer, Tidal, Google Music, etc.) as of Friday, December 7, 2018. 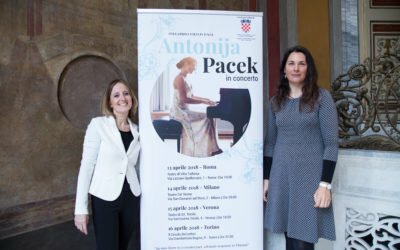 Antonija Pacek has been able to transmit to a multigenerational and multicultural audience a true passion in the way of playing and interpenetrating life through music. 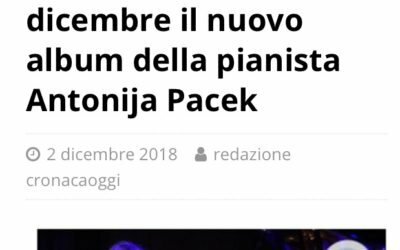 After the success of “Soul Colours” and “Life Stories”, a new tour is scheduled for 2019 in Italy, Austria, Croatia and the Emirates. 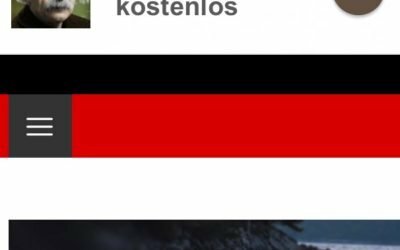 Strong is the song of the day on radio ZW in Poland. 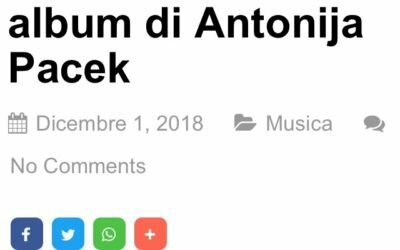 The song has been broadcasted also on Radio 101 and Radio Yammat in Croatia, International Vienna Radio, Muzyczne Radio in Poland. The song is featuring Jade Davies. 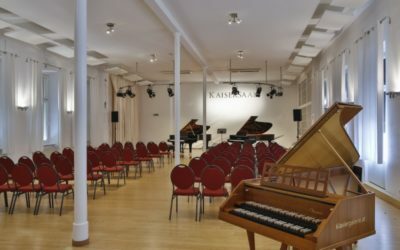 On Nov. 8th, 2018, I volunteered to play a Community Support concert at the Geriatric home Rodaun in the 23. district in Vienna. 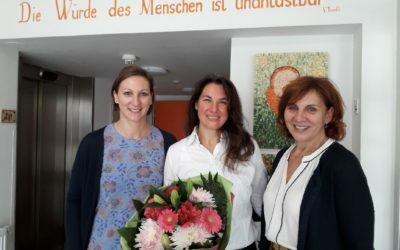 The owner and the director of the Geriatric home Rodun, Mrs. Hilde Haeussle and her daughter Alice so warmly welcomed me (the three of us are in the photo taken after the concert) and all three of us had tears as the concert was finished, feeling transcended. My heart was full. 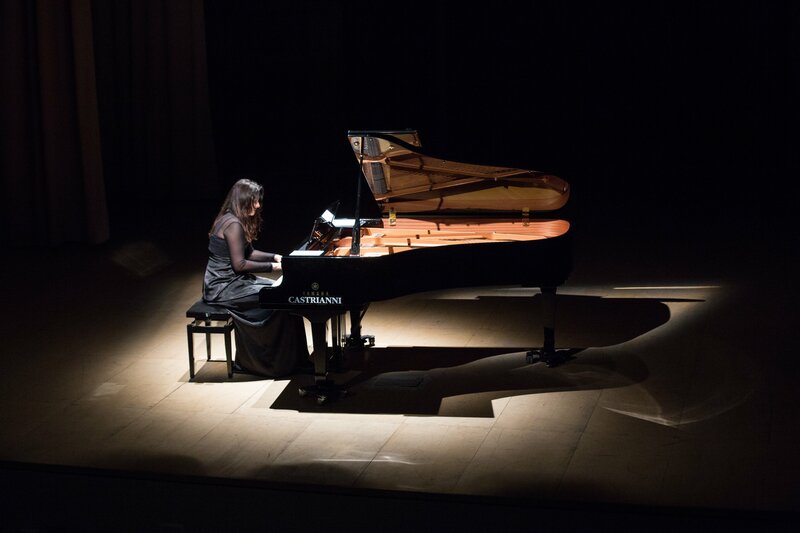 The feelings after the concert were unforgettable and overwhelming for me as well as for my audience there. Some of their residents held their hands as they felt the flood of emotions during my concert, as Hilde and Alice told me afterwards. Some people that usually do not attend concerts there, came alone in the middle of the concert, inside of their wheelchairs, as the sound from the corridors pulled them inside of the concert room. I thank everyone and I promise to be back at Rodaun next year! 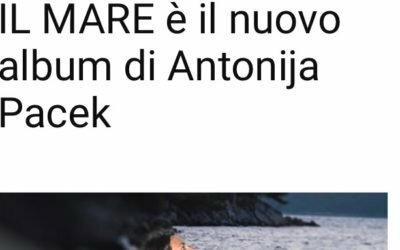 A NEW album IL MARE coming out SOON! 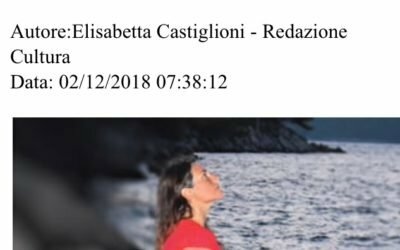 The third album, “IL MARE” is coming out at the beginning of the Dec. 2018 and will be available on iTunes, Amazon, Spotify, Deezer, Tidal and a few other streaming platforms. The following songs will be included: Before the Storm, the Sea, Forgive, Aloft (with cello feat. Neva Begovic), Late Fall, Expecting Nina, Magic Forest, Brand New Dawn, Viva Life, Back to Faith, Waiting, Taste of Bitter, Worth Living For. Bonus tracks will be The Sea feat. Barbara Kier with her beautiful, dreamy vocal and Aloft solo piano. 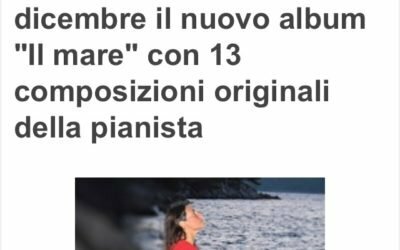 When the album IL MARE comes out, I look forward to hearing impressions from all of you! Check out the new lyric video for dance song Strong. The video was produced by Roberto Bedross. 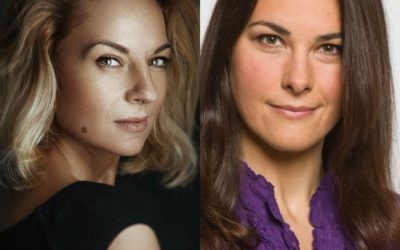 Lyrics and music by Antonija Pacek, production by Roberto Bedross, featuring Jade Davies. Strong was distributed by Spinnup on Aug. 6th, 2018. The song can be purchased on iTunes and Amazon. 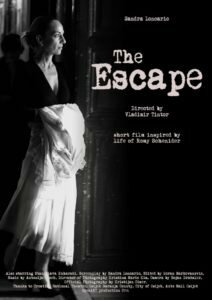 Talented Sandra Loncaric, a renown Croatian actress, just finished her short film, the Escape, inspired by a life of Romy Schneider. It is a great honor that Sandra chose my two songs, Sorrow and Lost as her film scores. The film will be presented for the first time on a prestigious international film festival in Vukovar on 25.8.2018. Sandra wrote the screenplay, acted and co-directed the film. 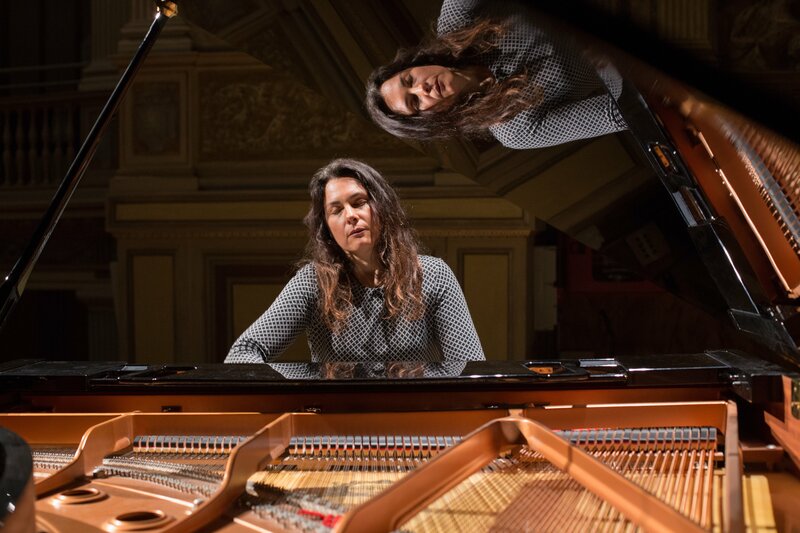 Thank you to the great audience for coming to my concert at teatro di Villa Torlonia and a huge thanks to Elisabetta Castigloni for making it happen! 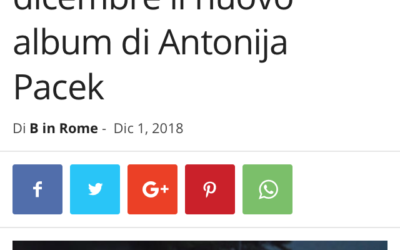 Below in the article is the Bank number for the Ivan Stark school for those who would still like to donate money for very needed Communicators (Computer program for children in need). Charity concert for the primary school, Ivan Stark in Osijek for the children with special education needs on March 28th, 2018 at 7.00 pm at the National Theatre, at the Foyer, in Osijek, Croatia. I look forward to these concerts and to meeting new audience! 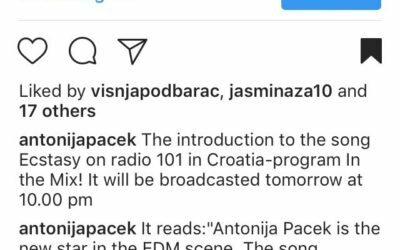 The introduction to the song Ecstasy on radio 101 in Croatia-program In the Mix-it: Antonija Pacek is the new star in the EDM scene. The song Ecstasy is supported by an excellent video on Youtube.